Fisker: News had been so sparse, whilst Tesla was splashed all over the media, that we wondered if they had floundered. Luckily not, as a company with such credentials, deserves to make it’s mark on the automotive landscape. Lo and behold today they started tweeting, with a flurry of news links. A sure sign that the silence is over and they are courting publicity. First off is a link to a USA Today feature of a real car in the real world and then a link to a youtube video of the car lapping Laguna Seca racetrack (see next page). We say: bring on more news, as this has to be one of the more promising new wave cars under development. Raceway Laguna Seca during the Rolex Monterey Historic Automobile Races. 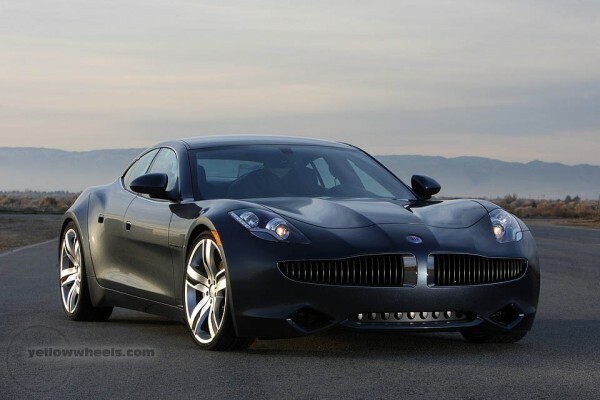 Fisker Automotive co-founder and COO Bernhard Koehler was driving. emissions are also much lower than today’s hybrids. Fisker Automotive is scheduled to start customer deliveries in summer 2010.